Dish Network Archives · Stop the Cap! More than 2.5 million HBO and Cinemax customers are blacked out after AT&T cut off its biggest satellite rival Dish Networks and streaming provider Sling TV in a dispute the Department of Justice claims confirms its concerns that AT&T’s merger with Time Warner (Entertainment) would be bad for consumers. It is the first time HBO has faced a contract renewal blackout on any platform in its 46-year history. But some groups feel it was predictable, considering AT&T owns DirecTV, Dish’s biggest rival. AT&T acquired HBO’s parent company, Time Warner (Entertainment) in 2018, changing its name to WarnerMedia. Last summer, Judge Richard J. Leon, senior district judge on the U.S. District Court for the District of Columbia gave AT&T approval of that $85 billion merger deal with no conditions, scoffing at Department of Justice claims that the merger would give AT&T undue market power that could be used to threaten competitors by depriving them access to popular cable networks and content or use of those networks in marketing materials to attract new subscribers. As the DoJ pursues an appeal of Judge Leon’s decision, this week’s blackout seems to add ammunition to the government’s case against the merger. A statement from Dish Networks harmoniously echoed the government’s position. Consumer groups like Public Knowledge also agree. Dish is accusing AT&T of demanding the satellite service pay for a guaranteed number of subscribers, regardless of how many consumers actually want to subscribe to HBO. On its face, the nationwide blackout of HBO and Cinemax on America’s second largest satellite TV provider could be a public relations disaster for AT&T, depriving customers from accessing premium movie networks for the first time. But AT&T is fighting back in a coordinated media pushback. “Past behavior shows that removing services from their customers is becoming all too common a negotiating tactic for them,” echoed AT&T. As always, customers are caught in the middle. For now. AT&T and HBO are telling consumers to drop their Dish subscriptions and stream HBO and Cinemax online directly from their respective streaming platforms, or find another provider. Dish has told its satellite and Sling TV customers they will be credited on their bill for time they do not receive HBO or Cinemax. Dish is also offering customers a free preview of HDNET Movies. Oral arguments for the DoJ’s appeal are scheduled to begin Dec. 6. Court documents revealed today the judges that will hear the appeal are: Judith W. Rogers, Robert L. Wilkins, and David B. Sentelle. Is Dish Networks Really Preparing to Finally Build Its Wireless Network? Among the major wireless companies with spectrum holdings worth billions, few would suspect that the fifth largest (behind Sprint, AT&T, Verizon, and T-Mobile) is the satellite television company Dish Networks. After spending nearly $20 billion over the last ten years acquiring nearly 95 MHz of extremely valuable low and mid-band spectrum in markets across the United States, Dish is the largest wireless company that isn’t actually providing wireless service. Critics have questioned whether Dish co-founder Charlie Ergen was ever really interested in getting into the wireless business when he could make an even bigger killing warehousing spectrum until it grows in value and can be profitably sold to someone else. One Wall Street analyst thinks there is a strong case for exactly that. Cowen and Company estimates Dish’s holdings are now worth $30.2 billion — a $10 billion profit possible from keeping spectrum off the market until a buyer is willing to make an offer Dish cannot refuse. Unfortunately for Ergen, spectrum is public property and ultimate ownership rights can never be sold or transferred. Instead, the FCC licenses companies to use the public airwaves, and has provisions to take them back if a company does not put that spectrum to good use. For Dish Networks, the first important deadline is March 2020, by which time the FCC expects Dish to achieve at least 70% market coverage of its 700 MHz “E-Block” and 2000-2020/2180-2200 MHz AWS-4 licenses. Dish’s “E-Block” spectrum was formerly known as UHF channel 56. Dish has already begun testing the next-generation TV standard ATSC 3.0 on its E-Block spectrum in Dallas, as part of a joint venture with TV station owners Sinclair, Nexstar, and Univision. 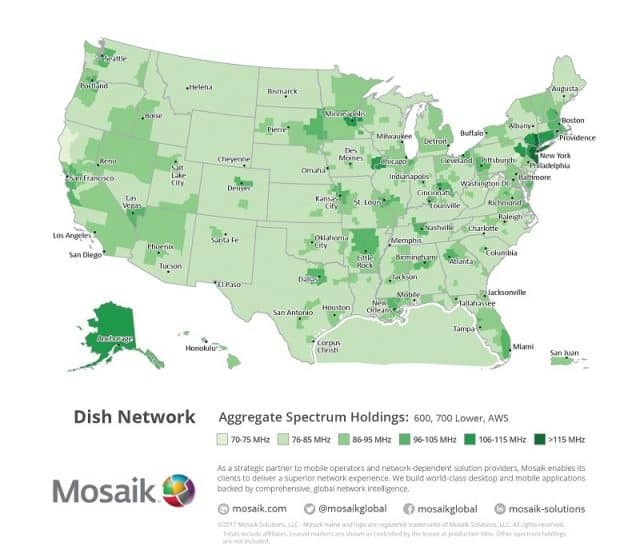 Dish proposed to use this spectrum, which covers 95% of the United States, as a potential tool for broadcasters. Among the services Dish could offer are broadcast data applications made possible with the ATSC 3.0 standard. Because time and money is on the line, Dish needs to either build its network quickly or sell/lease its spectrum to other companies before facing possible spectrum forfeiture in less than two years. Analysts say one of the cheapest and easiest ways of placating the FCC is to deploy a modest, narrowband wireless network designed for machine-to-machine communications. These networks rely on short bursts of data to communicate information. Possible applications include exchanging irrigation and crop data collected from wireless sensors and various remote weather and climate measurement tools. Coincidentally, that is exactly the kind of network Ergen initially envisions, largely operating on the sparsely used AWS bands. Officially called “NB-IoT” in wireless industry parlance, the ‘narrowband Internet of Things’ network would be the first chapter of Dish’s wireless story. It’s a network done on the cheap — constructed with a relatively low investment of $500 million to $1 billion through 2020, adequate enough to keep the FCC off Dish’s back. Ergen reports the radios have been ordered and in a sign of serious intent, Dish has now signed master lease agreements with cell tower companies that will allow Dish to place its transmission equipment on tens of thousands of cell towers around the country. The company has also hired experts in tower permitting and network design and planning. Those contracts are an important indicator for some skeptics on Wall Street who believed Ergen would not show seriousness of intent until he signed paid, binding commitments to begin network buildout. Ergen would disagree that Dish has been foot-dragging its wireless network deployment, despite a decade of accumulating wireless spectrum that has gone unused. Unfortunately for Ergen, he will be late to that paradigm shift, admitting his dream of a national 5G network isn’t possible right now. 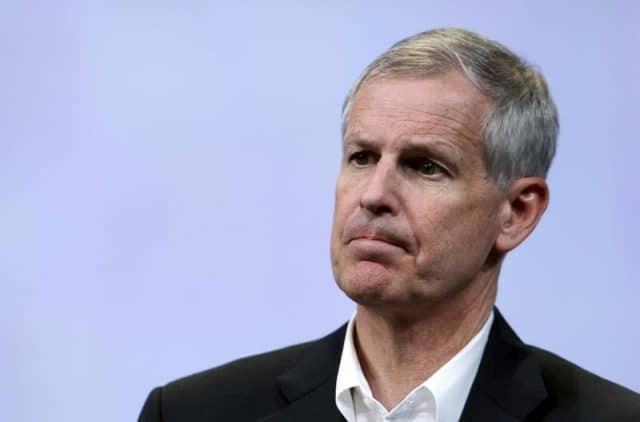 Ergen promised that sometime in the future, Dish will begin a “second phase” that will “build a complete 5G network.” But Ergen’s vision of 5G is somewhat different from Verizon and AT&T, which are focused on the consumer and business voice and data markets. 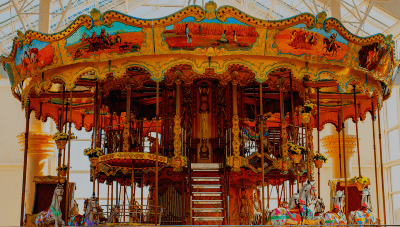 Ergen envisions a robust 5G network designed to support IoT applications like smart cities, artificial intelligence, and autonomous vehicles, and does not seem interested launching a fifth national cell provider. Ergen quit in December 2017 as CEO of Dish’s aging satellite TV business to refocus on Dish’s mobile future, and to recast the venture as a glorified startup, much like his early days in the home satellite television business where he got into the business manufacturing 10-foot C-band satellite dishes for consumers and then sold the programming to watch on those dishes. From money earned in that business, Ergen launched Dish Networks, which relies on today’s familiar small satellite dishes and competes with DirecTV. What Ergen lacks in experience he makes up for in enthusiasm, laying out plans for Dish’s wireless future. By the time he activates 5G service, Dish expects to use its combined 95 MHz of spectrum in the 600 MHz and 2 GHz range for that network. That will take until at least July 2020, because many of the 600 MHz frequencies he needs are still occupied by UHF television stations that are in the process of migrating to a more compact UHF band. Dish has spectrum holdings that reach almost every corner in the U.S.
Ergen may also consider acquiring additional millimeter wave spectrum if he deploys small cell technology. He has even decided to keep small cell and larger traditional “macrocells” found on traditional cell towers on different frequencies, claiming sharing the frequencies would create interference issues. Ergen also hopes to convince the FCC to repurpose little-known Multichannel Video Distribution and Data Service (MVDDS) spectrum located between 12.2-12.7 GHz for 5G wireless applications. That solid block of 500 MHz of spectrum could be an important asset to power small cell 5G networks, because it can support faster speeds than the typical smaller blocks of frequencies most companies control. MVDDS also lacks a significant constituency to protect it, having been woefully underutilized in the United States. Only tiny Cibola Wireless, an ISP in Albuquerque, N.M., licenses MVDDS technology for its wireless internet service, selling Albuquerque residents up to 50 Mbps speed for $79.99 a month. Users claim the service does not suffer the latency problems of traditional satellite internet access, but can still slow down if too many users are online at the same time. Back in 2010, MVDDS technology was seen as a potential competitor to companies like Dish and DirecTV, as well as satellite internet providers which share similar spectrum. Like satellite internet, MVDDS can transmit and receive data over a small dish. But instead of pointing it to a satellite 44,000 miles away, MVDDS systems target a ground-based transmission tower much closer nearby. The technology never attracted much attention, and will now likely be displaced by 5G in the United States, although it has done modestly better abroad, serving a limited customer base in the United Arab Emirates, Ireland, France, Vietnam, Greenland and Serbia. Satellite dish customers relying on Dish Networks or DirecTV for cable programming will need to open their wallets wider in 2018 to cover rate increases at both providers. “On behalf of all of us at Dish, thank you for your business. You have asked us to be honest and upfront with changes to your account, and that is why we are writing you,” the satellite company wrote on its website. Effective Jan. 16, 2018, broad rate hikes of about $3 a month for cable networks and $2 a month for local channels will take effect. Dish’s “Smart Pack” will increase by 7% to $44.99 a month, America’s Top 200 rises 6% to $89.99 and America’s Everything gets a 3.4% boost to $149.99 a month. Customers on a promotion will not see the rate hike until their offer expires. The biggest rate increase by percentage applies to local stations, where most will see a 20% rate hike from $10 to $12 a month. Dish has published its 2018 rate card on its website, detailing the price hikes. DirecTV rates will rise effective Jan. 21, 2018 according to its website. The increase is blamed on programming costs. Customers on a promotion will not see the rate increase until that promotion expires. But AT&T, which owns DirecTV, also warns customers if they change their current base package, their promotion will end immediately and the new, higher rates apply. A last-ditch effort last weekend by executives of SoftBank and Deutsche Telekom to overcome their differences in merging Sprint with T-Mobile USA ended in failure, killing Wall Street’s hopes combining the two scrappiest wireless carriers would end a bruising price war that had heated up competition and hurt profits at all four of America’s leading wireless companies. Now Wall Street, hungry for a consolidation deal, is strategizing what will come next. In the end, SoftBank’s chairman, Masayoshi Son, simply did not want to give up control of Sprint to Deutsche Telekom, especially considering Sprint’s vast wireless spectrum holdings suitable for future 5G wireless services. The failure caused Sprint Corp. shares and bonds to plummet, and spooked investors are worried Sprint’s decade-long inability to earn a profit won’t end anytime soon. Sprint’s 2010 Network Vision Plan, which promised better coverage and network performance, also helped to load the company with debt, nearly half of which Sprint has to pay back over the next four years before it becomes due. Sprint’s perpetual upgrades have not tremendously improved its network coverage or performance, and its poor performance ratings have caused many customers to look elsewhere for wireless service. Investors are also concerned Sprint will struggle to pay its current debts at the same time it faces new ones from investments in next generation 5G wireless technology. Scared shareholders have been comforted this morning by both Son and Sprint CEO Marcelo Claure in an all-out damage control campaign. 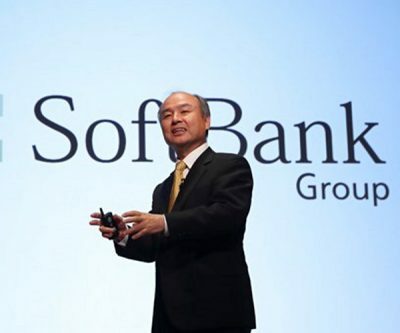 Son has promised the now-orphaned Sprint will benefit from an increased stake in the company by SoftBank — a signal to investors SoftBank is tying itself closer to Sprint. Son has also promised additional investments to launch yet another wave of network upgrades for Sprint’s fourth place network. But nothing is expected to change very quickly for customers, who may be in for a rough ride for the immediate future. Son has already said his commitment to raise Sprint’s capital expenditures from the current $3.5-4 billion to $5-6 billion annually will not begin this year. 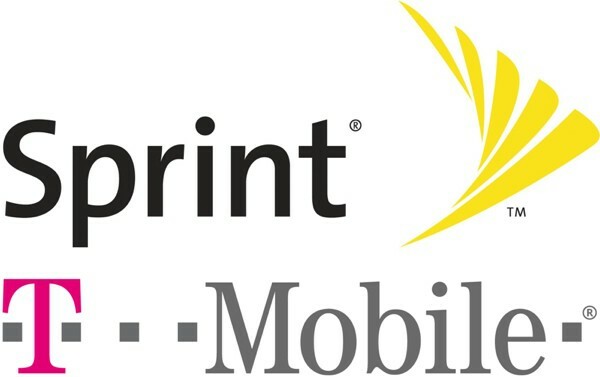 Analysts claim Sprint needs at least $5-6 billion annually to invest in network improvements if it ever hopes to catch up to T-Mobile, AT&T, and Verizon Wireless. During a call with analysts on Monday, Sprint’s chief financial officer Tarek Robbiati acknowledged investors’ disappointment. Investors were hoping for an end to deep discounting and perks given to attract new business. T-Mobile’s giveaways and discounting have reduced the company’s profitability. Sprint’s latest promotions, including giving away service for up to a year, were seen by analysts as desperate. Son’s own vision plan doesn’t dwell on the short-term, mapping out SoftBank’s progress over the next 300 years. But for now, Son is concerned with supporting the investments already made in the $100 billion Vision Fund Son has built with Saudi Arabia’s oil wealth-fueled Public Investment Fund. Its goal is to lead in the field of next generation wireless communications networks. Sprint is expected to be a springboard for those investments in the United States, supported by the wireless company’s huge 2.5GHz spectrum holdings, which may be perfect for 5G wireless networks. But Son’s own failures are also responsible for Sprint’s current plight. Son attempted to cover his losses in Sprint by pursuing a merger with T-Mobile in 2014, but the merger fell apart when it became clear the Obama Administration’s regulators were unlikely to approve the deal. 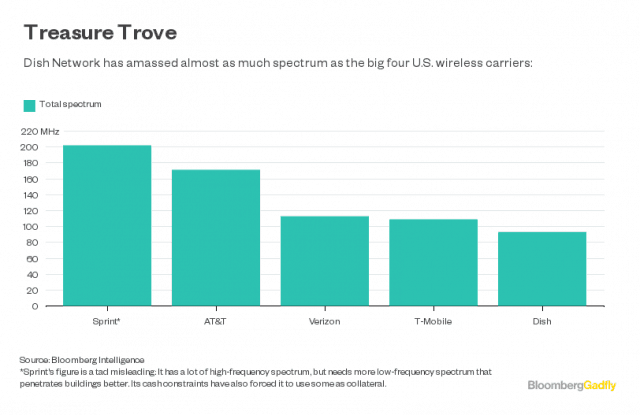 After that deal fell apart, Son has allowed T-Mobile to overtake Sprint’s third place position in the wireless market. While T-Mobile grew from 53 million customers to 70.7 million today, Sprint lost one million customers, dropping to fourth place with around 54 million current customers. Son’s answer to the new competition was to change top management. Incoming Sprint CEO Marcelo Claure promptly launched a massive cost-cutting program and layoffs, and upgrade-oriented investments in Sprint’s network stagnated, causing speeds and performance to decline. “They need to spend (more) money on the network,” said William Ho, an analyst at 556 Ventures LLC. Sprint executives hurried out word on ‘Damage Control’ Monday that Altice USA would partner with Sprint to resell wireless service under the Altice brand. In return for the partnership, Sprint will be able to use Altice’s fiber network in Cablevision’s service area in New York, New Jersey, and Connecticut for its cell towers and future 5G small cells. The deal closely aligns to Comcast and Charter’s deal with Verizon allowing those cable operators to create their own cellular brands powered by Verizon Wireless’ network. An analyst at Cowen & Co., suspected the Altice deal may be a trial to test the waters with Sprint before Altice commits to a future merger between the two companies. Altice is hungry for expansion, currently owning Cablevision and Suddenlink cable operators in the U.S. 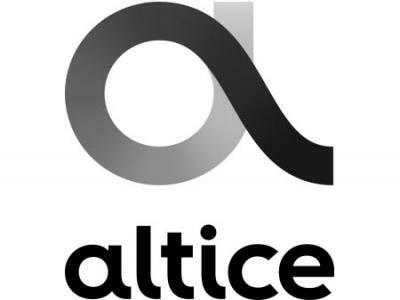 But Altice has a very small footprint in the U.S., leading some analysts to believe a more lucrative merger might be possible elsewhere. Charter Communications stock was up more than 7% in early Monday morning trading as a result of speculation SoftBank and Charter Communications were restarting merger talks after a deal with T-Mobile collapsed. CNBC reported that Mr. Son was willing to resume talks with Charter executives about a merger between the cable operator and Sprint. Charter executives have shown little interest in the deal, still distracted trying to merge their acquisitions Time Warner Cable and Bright House Networks into Charter’s current operation. Charter’s entry into wireless has been more tentative, following Comcast with a partnership with Verizon Wireless to resell that considerably stronger network under the Charter brand beginning sometime in 2018. According to CNBC, John Malone’s Liberty Media, which owns a 27% stake in Charter, is now in favor of a deal, while Charter’s top executives are still opposed. Wall Street’s merger-focused analysts are hungry for a deal now that the Sprint/T-Mobile merger has collapsed. Pivotal Research Group is predicting good things are possible for shareholders of Dish Network, and upgraded the stock to a “buy” recommendation this morning. Jeff Wlodarczak, Pivotal’s CEO and senior media analyst, theorizes that Sprint’s merger collapse could be good news for Dish, sitting on a large amount of unused wireless spectrum suitable for 5G wireless networks. Those licenses, estimated to be worth $10 billion, are likely to rise in value as wireless companies look for suitable spectrum to deploy next generation 5G networks. Wlodarczak has also advised clients he believes the deregulation-friendly Trump Administration would not block the creation of a satellite TV monopoly, meaning AT&T should consider pairing its DirecTV service with an acquisition of Dish Networks’ satellite TV business, even if it forgoes Dish’s valuable wireless spectrum. Such a transaction would likely resemble the regulatory approval granted to merge XM Satellite Radio and Sirius Satellite Radio into SiriusXM Satellite Radio in 2008. Despite the merger, just months after its approval, the combined company neared bankruptcy until it was bailed out with a $530 million loan from John Malone’s Liberty Media in February 2009. Liberty Media maintains an active interest in the satellite radio company to this day. As Puerto Rico and the U.S. Virgin Islands enter another week mostly in darkness, a TV station owner is accused of putting its financial well-being ahead of storm victims getting access to the latest news and developments after ordering its One Caribbean TV channel off the lineup of Dish Networks in a contract dispute. Lilly Broadcasting pulled the station off the satellite service over the weekend in a move slammed by Dish as a cynical ploy. 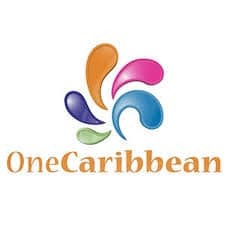 Exactly how many viewers One Caribbean TV still has in either U.S. territory is unknown. Power is almost universally unavailable and many satellite dishes were turned into flying projectiles in hurricane force winds. But the optics of pulling a station delivering frequent hurricane recovery updates off the lineup at such a critical time was seen as bad publicity and Lilly quickly relented after the office of FCC chairman Ajit Pai got involved. Satellite Business News reported Lilly Broadcasting Chief Operating Officer John Christianson authorized restoring service in the storm areas.